De Leon... We'd kind of forgotten about the old standby of Mexican food, but it is, of course, still there. Right up on the Northside, proudly located in an anonymous strip mall. Some rather high profile names have left the spot, but De Leon is still definitely good. Maybe not the temple of awesomeness it once was, but always worth the trip. Their breakfast huevos ranchero is what they've always been: Wonderfully flavorful, served in a perfectly spiced salsa, with De Leon's classic tortillas. For dinner, look for the mole poblano, now, apparently, a staple dish. A spicy sauce with hints of chocolate, served over tender chicken. It is really, really tasty. I could go on about the carnitas and carne asada and... Well, you know it all. And therein lies the problem, of sorts. De Leon used to always have some crazy good specials on the menu. Always something different, and always well prepared. That isn't really the case anymore. Oh, they have well prepared specials, but it wasn't what it once was. It isn't that special, but more in line with what you would see at any other good Mexican place in Spokane. Of course, that might be part of it. We have a lot more truly excellent Mexican places these days. Being just good, even very good, might not be quite enough anymore. Don't get us wrong, we still love De Leon. The food is excellent, but the spot might just not be as special as it once was. So let's just get it out of the way. Our opinion about De Leon. I might not be religious, but if there is a heaven, I imagine De Leon's deli would be pretty close to what it'd be like. Be it their crazy good guisados or just the tortillas, you truly can't go wrong here. You know this, of course, because you've visited either their north or downtown location more times than you can count. If you haven't, you're dead to me. In fact, if you haven't, you've never really lived. 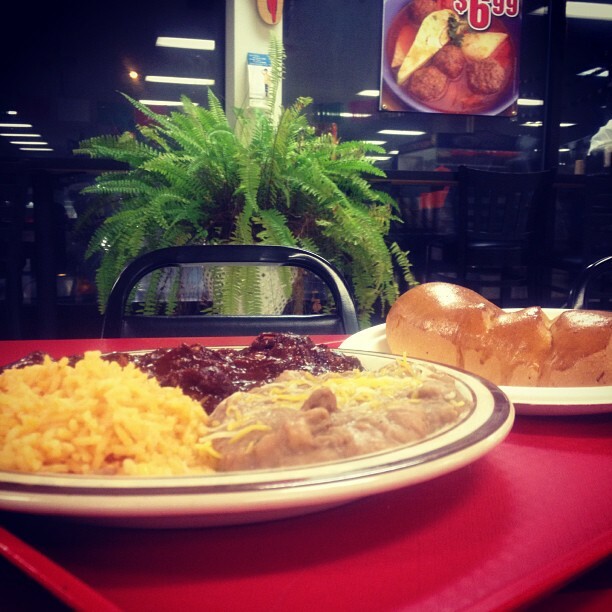 Go grab their brisket and beans -- Friday special downtown -- and you will get it. It's love for the mouth and stomach. And of course, it's when you get the rare specials that you really live. The huevos rancheros, last seen during the Mexico World Cup game downtown, is a good example. A special spicy salsa and beans with chorizo. It's an epiphany and it should be embraced. I maintain the market part of El Mercado del Pueblo is marginally better than De Leon, but as far as the deli goes, nothing in town beats De Leon. It rivals the best Mexican food I've had anywhere else for that matter. De Leon = awesome and a half. But again, you already knew that. Vote for De Leon Foods: It’s your civic duty!